I only want one banana, but they come in bunches. Sometimes I break up a bunch and buy about four instead of eight, but I’ve never actually tried to buy only one. The reason I want just one is the same reason I want only one brown paper bag. I want to ripen my tomatoes, and I learned from WikiHow that the way to do this is to put the green tomatoes and a banana together in a bag. This is the first year I’ve tried to grow tomatoes and (wouldn’t you know it?) this is the first year we have had snow in September. 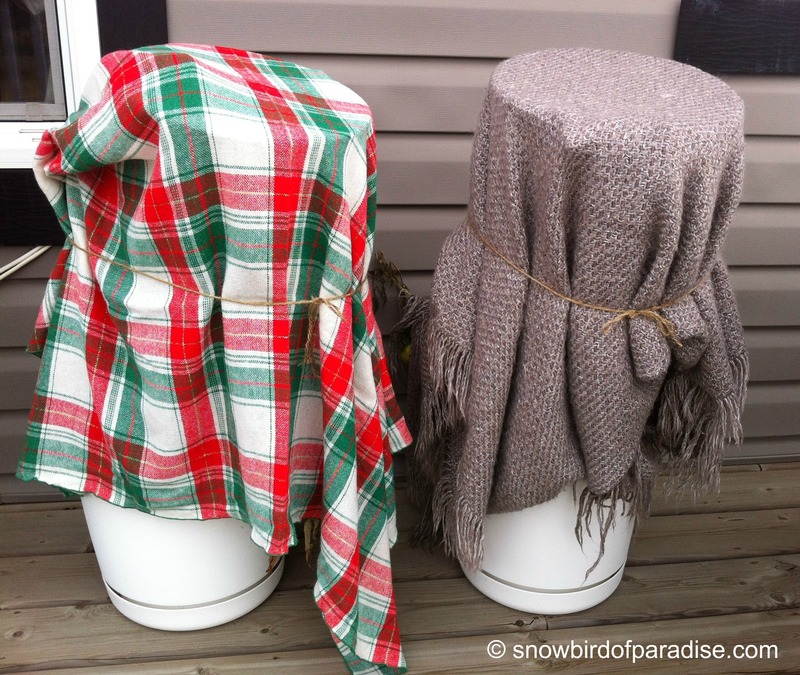 I covered up my tomato plants with a Christmas tablecloth and an itchy shawl, so I think they have been saved from the worst of the storm. I haven’t actually looked, though, so this is an optimistic assumption. Just before the cold snap, I harvested a couple of these tomatoes and brought them indoors. I thought I’d experiment with the banana-ripening scheme, and I put them in a brown paper bag. It turns out, the system works! So far I have actually eaten one ripened tomato and it was delicious. I’m not sure if it was delicious because I planted it, or because home-grown tomatoes are really better-tasting than store-bought tomatoes, but it was pretty good. Shortly after my brown-bag-ripe-banana experiment , I received an influx of tomatoes from my local organic farm subscription. Now I have lots of ripe tomatoes plus one coming-along-nicely banana-ripening tomato. I put the local farm tomatoes into a slow-cooked borscht. I couldn’t actually identify their taste within the mix of vegetables, but the overall effect was pretty awesome. It was the best borscht I ever made. It’s also the only borscht I ever made. Now, outside on my deck are two plant pots containing tomato plants which are hiding beneath a tablecloth and a shawl, respectively. When I pull off their coverings, I will have to do something with the fledgling tomatoes that lie beneath. My guess is that they are going to be small and green. That means I need a banana and a brown bag. Since I live alone, bananas tend to find their way into the trash before they find their way into my mouth. So, I really only need one and I’m not sure if you can buy only one. Therein lies the problem. I’m wondering how a cashier in the grocery store will respond to weighing and ringing up just one banana. I might get “the look” that solitary produce-buyers sometimes get. You may imagine that your life would be simpler if you were single, but bear this in mind. It is not easy to buy groceries for one. I know that’s the logical thing, Eric, but when I sometimes get “the look” it nags at me.